b) The "busy photographer approach"
10. Don't buy links or engage in weird "link exchanges"
SEO has changed a lot in recent years. No longer do you need to merely repeat a certain phrase in specific locations throughout your page to rank for it. People tried to experiment with various SEO tactics and tried to “beat the system” by figuring out specific repeatable actions to earn a place in Google’s rankings. But Google is always one step ahead, adapting and polishing their algorithm, focusing on what eventually matters: user experience. Yet many website owners are sometimes still stuck in their old SEO ways, some of which no longer work or are even hurting their chances to rank well. when it comes to SEO, there are two types of photographers: those who know LITTLE (a few good principles but usually not acting on them), and those who know NEGATIVE (using "dinosaur" SEO practices that are now hurting their search engine visibility). Working hard to fix this. My full SEO guide is for the first type of photographer, while this article is for the second. When Google notices repeated content, it slowly starts to ignore it. This applies to identical phrases in all page titles or meta descriptions, or to text that’s present in the footer throughout the site. So people have been “clever” about it and added a nice keyword-rich site name in Settings, in an effort to try to rank for it, since it appears everywhere. But Google quickly caught up to this practice and has started to ignore those phrases whenever it detects this sort of automatic repetition. 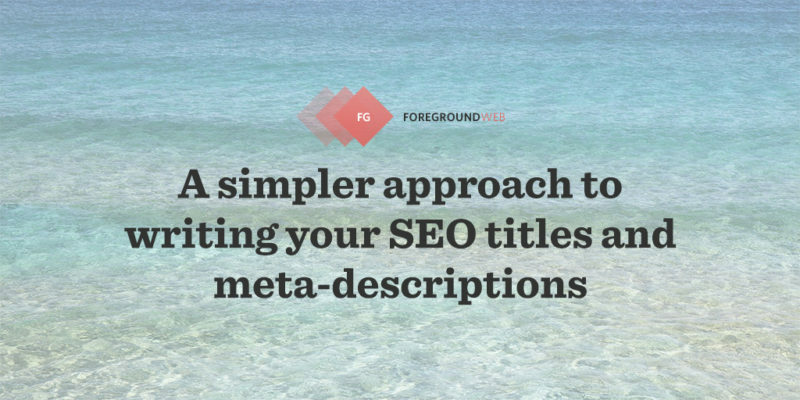 Takeaway: try to write unique SEO titles and meta-descriptions. Use them to describe each and every page and post as accurately as possible, without forcing the same keywords/phrases in them. You’ll be better off. Because ALT tags don’t show up visually on the site, many photographers just think of them as these hidden places where they can cram in as many keywords as possible. But “keyword stuffing” can be perceived as spam. Instead, ALT tags (in the source code) and captions (visually displayed on the site) should be relevant and information-rich pieces of content that stay in context. That’s why it’s important to avoid repetition too. Writing unique ALT tags or captions for your images takes a lot of time & work, it’s not easy. But the opposite is worse than not adding them in the first place: if you copy-paste the same phrases for all your images, it’s duplicate content and Google won’t be too happy about it. At least try to add unique ALT tags (and unique captions if you display them) on your homepage! Let’s say you have a homepage slideshow. Clearly a “keyword stuffing” copy-paste attempt. 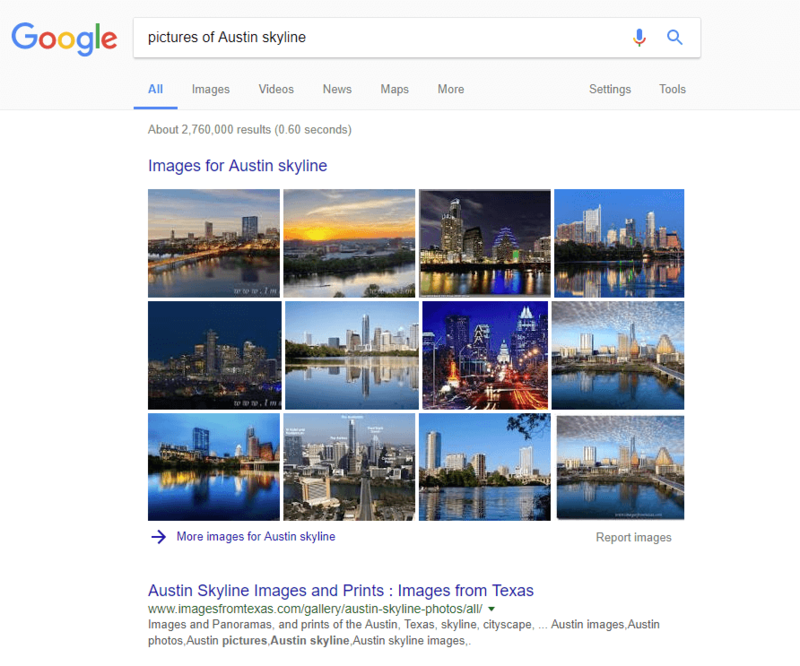 Isn’t that so much better for telling Google what the images are all about and for helping your site rank for more specific long-tail keywords? And don’t those highly specific captions provide real value to the visitors seeing your homepage? If you don’t have time to write unique tags for each image (in a big blog post with tens of images, for example), a reasonable compromise is to pick 5-10 key images, tag them, and leave the rest blank. Adding unique ALT tags to a few images is better than duplicate ALT tags for all of them. 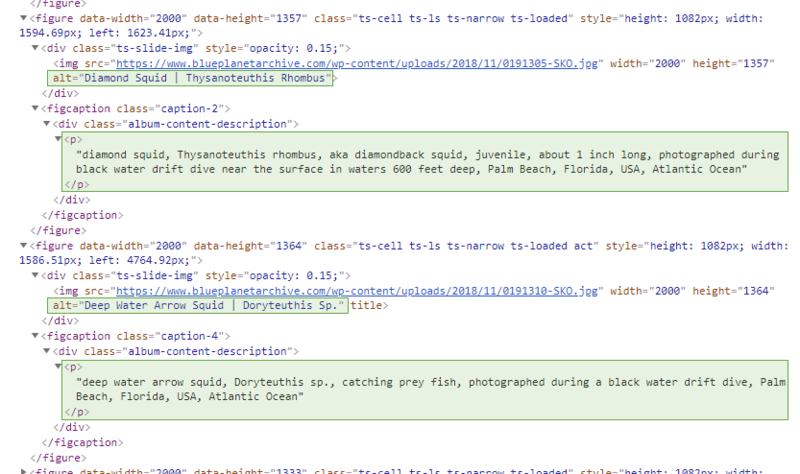 Takeaway: better to not add any ALT tags to your site than it is to copy-paste the same text for all your images. Even better is to add unique ALT tags and captions for each and every photo, especially on the homepage. Many photographers do this, but it’s an insignificant SEO factor that can actually limit your options down the line. You can always transition to an entirely new domain then (I sure do have a detailed guide for that), but why not choose a more flexible domain right from the start (firstnamelastname.com). On such a domain, your website can grow as your business grows. Over 80% of successful/famous photographers don’t use “photo” or “photography” in their domain name. Yet they have a thriving business and (most of them) are doing just fine with SEO. So why shouldn’t you just stick with a simpler domain name? The obvious exception here is when you’re operating under a brand name and not using your personal name. Even then, keep it simple — no need to go for an “exact match” domain name. Google updated their algorithm back in 2012 to downgrade the importance of such domains. After all, Google doesn’t use google-search-engine.com, right? :-) I know, I know, it was an exaggeration, but you get the point. Takeaway: when choosing domain names, keep it simple! This is an old tactic used by photographers trying to rank for multiple locations. They’d create one page for a city, and then blatantly close it several times for other cities (and just doing a find-and-replace for the city name). This no longer works. Google has become so much better at detecting duplicate content, that your site can actually get penalized for this. Unless… you’re willing to put in a ton of effort to actually make all those pages unique. To create relevant pages for each city/location, full of useful information that those specific residents would find useful. The footer of the site is full of locations and wedding venues he shot it, each linking to a unique page describing that location and listing specific wedding photography samples. Under the same umbrella, don’t create multiple micro-sites on separate domains when they have the same target audience. It’s much better to include all that content on a single domain and gain domain authority for it over time. Takeaway: creating too much duplicate content on your site will lead to your ranking for ZERO keywords. Make a list of all the keywords (and locations) you want to rank for and work them organically into the text. 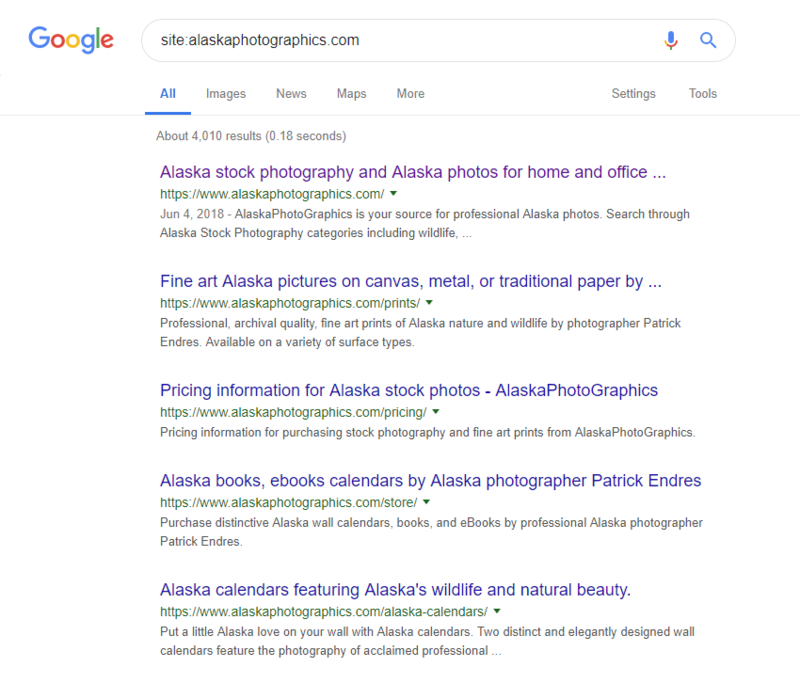 SERP features are elements on Google search results page that are not organic results: ads, product reviews, image packs, knowledge graphs, Google My Business listings, etc. 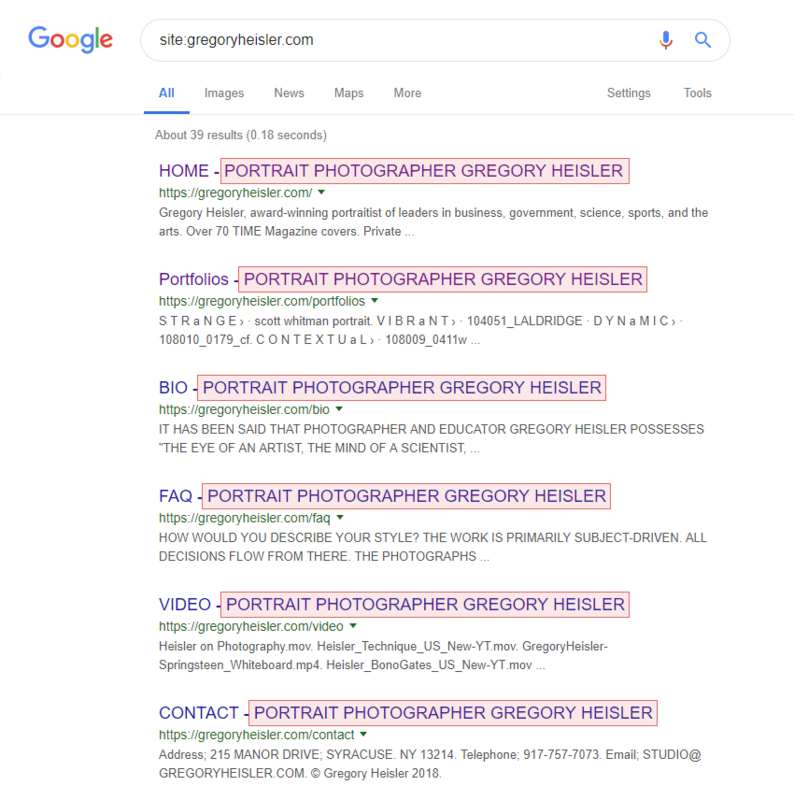 For photographers specifically, the main action is to work on Image SEO which will help your image appear in Google Images searches, and also in relevant SERP features (Image Results, Image Mega-Block, Knowledge Graph). Takeaway: Learn what SERP features are, and how they’re taking away some of the licks received by the #1 result. 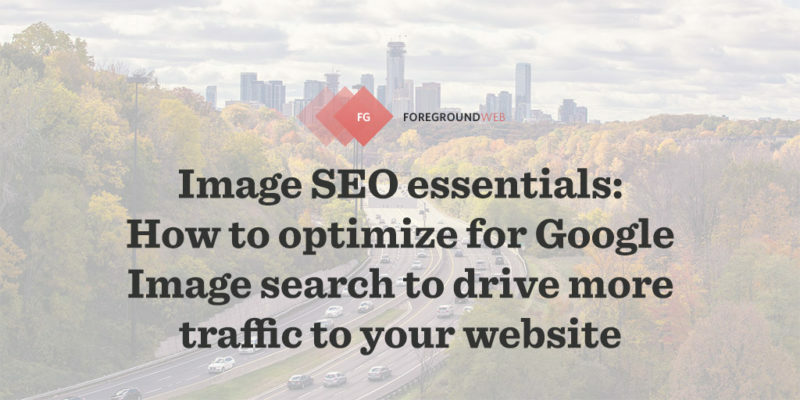 Spend some time on Image SEO to take advantage of that. 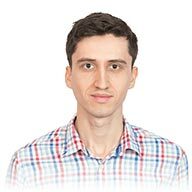 But it’s still present on some outdated photography websites out there, usually containing a massive list of comma-separated keywords, desperately trying to rank for more. And Google doesn’t consider it as a spam signal either, it simply ignores it altogether, but Bing does look inside it for irrelevant keyword stuffing (as a negative factor). Takeaway: instead of adding a comma-separated list of words anywhere on your site, spend that time writing more text on your pages, using natural language. It needs to sound good if you read it out loud, that’s a good litmus test. The bottom line is this: you cannot outrank major stock photography sites for generic keywords. And if you’re just starting out, you cannot outrank established pro photographers in your field. 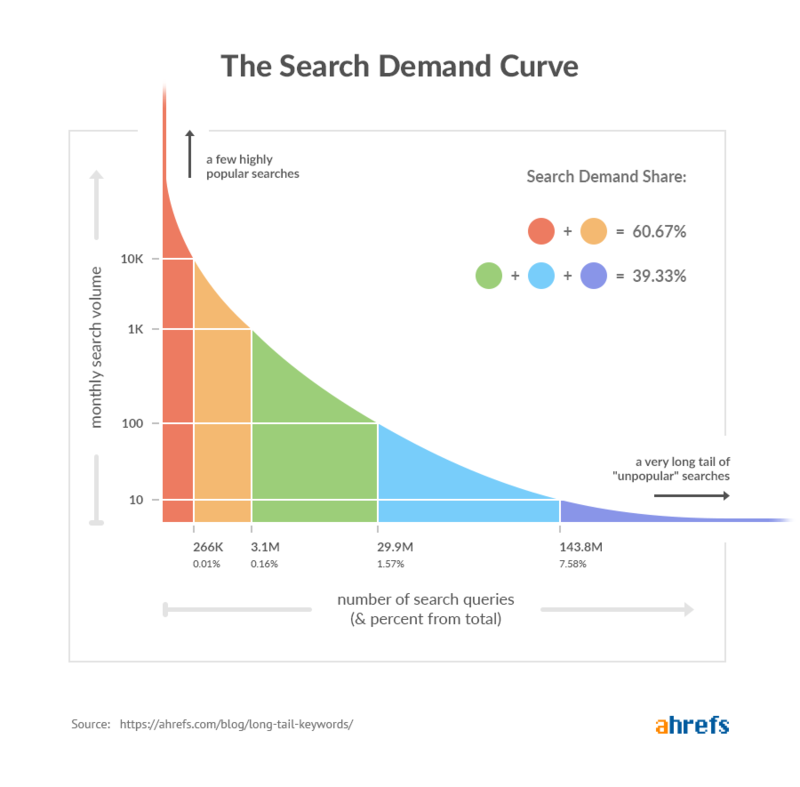 But there’s a whole other piece of traffic that you can attract by focusing on niche keywords (aka “long-tail” keywords). The red and orange columns are the popular 1-3 word queries that taken up around 60% of the total search volume on Google. But they’re incredibly competitive and tough to rank for. The less-popular searches that make up the green blue and purple columns are usually longer phrases. And then you create quality pieces of content that cover each of those long-tail keywords. Think about adding new blog posts, but also updating the existing copy throughout your pages. It’s all about using natural language as if you’re reading the page out loud to a friend. Variations are your friend. 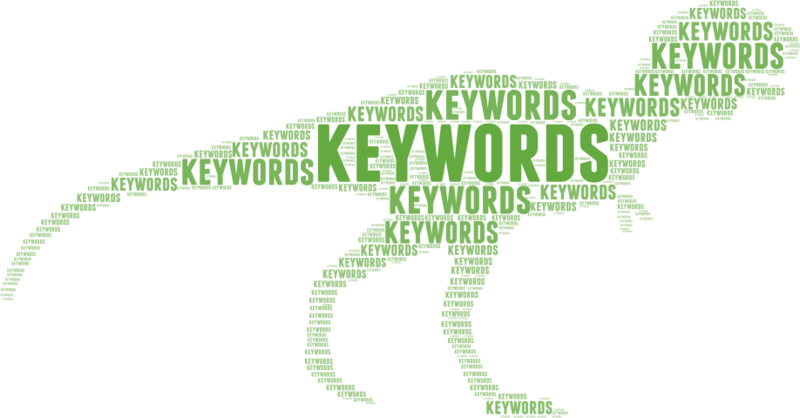 Doing this will lead to you organically adding more long-tail keywords to your copy over time. The operative word here is “obsess”. Sure, there’s a bare minimum here, which most photography websites don’t do right: having relevant keywords in your SEO title, and in a headline on the page, ideally in an H1 tag. And having only one single H1 tag per page. But beyond that, it’s overkill to try to repeat a certain keyword/phrase 3 times in the body copy, at least once in bold text, at least once in ALT tags, once in the URL, once or twice in the meta-description, etc. That’s just trying to squeeze 1% more value out of that keyword/phrase, and probably something that most photographers don’t have time for. And when you combine overuse of keywords with “thin content” (pages with less than 300 words of text), you’ll end up creating a poor user experience (because users will maybe land on your site and not be impressed by your content so they’ll bounce back), and Google will adjust your rankings accordingly. The alternative is to focus your obsession on related keywords. And we’re basically back to “long-tail keywords” again. Think of other ways clients might phrase their Google queries, and add those to your content. Related topics, related keywords are often correlated with big rankings improvements when we see folks undertake them. Takeaway: keyword stuffing has become a quick way to turn Google off. It’s not just about trying to rank high for certain keywords. It’s also about convincing users to click on your site when they do see it in Google search results. 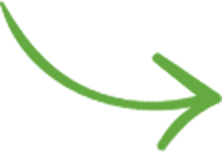 Backlinks are links on other websites that point back to your site, and they’re the most important part of off-site SEO. People were able many years ago to trick Google’s then immature algorithm by purchasing links from “link farms” or by submitting their site to weird site directories. It really got out of hand back then, so Google put a lot of energy into avoiding those practices (though its “Penguin” algorithm update). Buying spammy links can now get your site banned from search engines (and you’ll get notified of such a “manual action” taken against your site if you use Google Search Console). There’s nothing wrong with going in and adding links back to your site on various profile pages that you control: association/membership sites, social media profiles, forums/communities you’re part of, etc. When doing within reason, links there make sense. Other than that, it’s all about gaining links over time. Have such an amazing photography website that other people will naturally want to share and link to over time. Takeaway: don’t pay for links. Add links back to your site where appropriate, and work on earning more over time: The photographer’s mini-guide to backlinks: how to create, gain & track links back to your site. And if you get email requests for “link exchanges/swaps”, just say No or mark it as spam. The risks are not worth the negligible reward. Hey mister SEO, what’s up with the black hat? SEO-Optimized Web Content: How Do You Optimize Without Overdoing It? When you find a trick, a shortcut, a hack that gets you from here to there without a lot of sweat or risk, it’s really quite rewarding. So much so that many successful people are hooked on the trick, always looking for the next one. There’s a meta-trick that’s far more reliable. One that works over time and doesn’t depend on avoiding being out-tricked: Make great stuff. Satisfy needs. Do the hard work that leads to growth which leads to investment on its own merit. It turns out that the trick-free approach is the best trick of all. This is not necessarily an SEO tactic, but focusing too much on SEO and ignoring UX is a problem in itself. Photographers often suffer from what I call “SEO procrastination”. It’s focusing obsessively on SEO details while the site has serious design and usability problems. I wrote a while back about how to avoid this and why photographers have this relationship with SEO. OK, your website is responsive, but how user-friendly is it really? The goal is not just to pass Google’s Mobile-Friendly test, but to actually understand the 4 levels of website mobile-friendliness. Closely related to the previous point, you have to make sure that your site is fast. As fast as possible considering it’s probably an image-heavy design. Use a good performance plugin (if running WordPress) and pay special attention to these image optimization tips. And what’s the layout on your homepage? Are you just showing a single image to try to impress people? Or a big homepage slideshow to cycle through some of your best work? Or do you display a grid of thumbnail images to show more “range”? Read my thoughts on this decision. Takeaway: get a good understanding of the hierarchy of website priorities. Getting more organic traffic via SEO is a way to bring more people at the top of the “funnel”. Working on your site’s UX is for making sure you don’t have a “leaky funnel” – which is good to nail down first. Otherwise, all future SEO and marketing efforts will see diminished results. The industry is changing, so you have to learn to adapt and modernize your site. So there you have it. You’re more aware of all the outdated SEO tactics that are now useless (or even potentially damaging to your site). Know that you’re still making some of these mistakes? Check out my main SEO guide and this more recent article: Don’t obsess over SEO: 10 things you should be taking care of on your photography site before doing advanced SEO work for more actionable SEO & UX tips. and have been building photography websites exclusively since 2009. Read my full story to see who I am and what I stand for. 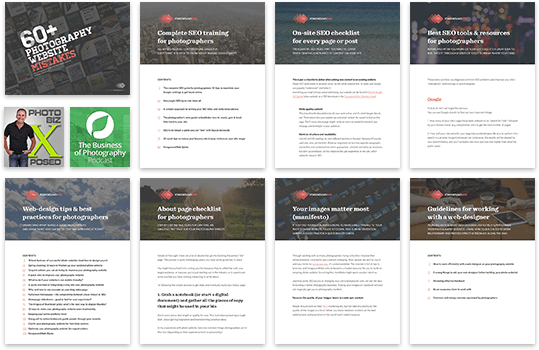 Get the best of ForegroundWeb in a single weekly email, along with access to all my resource downloads and 10 weeks of free email training - all about photography websites. Off-topic or inflammatory comments may be moderated. Please add VALUE to the web, thanks!